World leader in large-bore industrial hose and calendered rubber products. Salem-Republic Rubber’s long history of providing uncured calendered products and deep rubber compounding knowledge has led to the introduction of a line of uncured elastomeric linings. 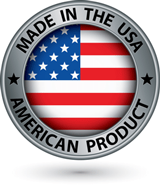 The lining products are all produced at the company’s facility in Sebring, Ohio. The elastomeric lining market focuses on providing abrasion resistance in material handling and transfer applications as well as providing corrosion resistance for applications in industries such as water treatment, chemical transfer and storage, and chemical processing equipment. The elastomeric lining products require strong compounding expertise, in addition to stringent process and storage requirements. In order to satisfy these needs Salem-Republic Rubber has invested in additional human resources as well as several capital improvements. Among the improvements was the addition of a refrigerated finished goods storage unit (photo included) to facilitate the stocking of finished goods. 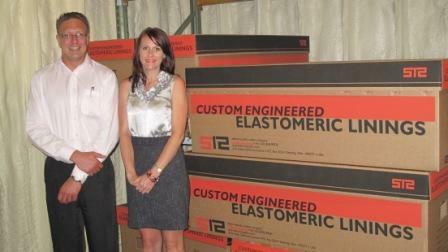 The company provides linings of 5 different elastomers. The linings will are available in thicknesses from 1/8” – 1/2” and widths from 37” – 56”. For more information, please view our tank lining material overview information and specification sheets found below, or contact Salem-Republic for a quotation. 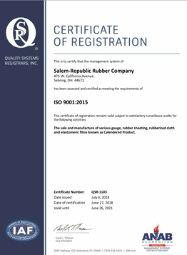 Salem-Republic Rubber is ISO 9001:2015 certified for the sale and manufacture of various gauge, rubber sheeting, rubberized cloth and elastomeric films known as Calendered Product. Quality and manufacturing personnel worked with Quality Systems Registrars, Inc., a leading registration firm, to certify that our quality standard for calendered rubber products is compliant with standards conforming to ISO 9001:2015. Salem-Republic Rubber Company offers a wide variety of custom engineered industrial hose and calendered rubber products.